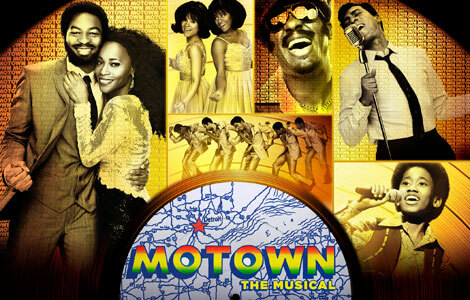 Motown, which starts performances on Friday 3-October, is already holding a curious place in the Broadway Series. As the first show, it was dropped from the series when a return of The Book of Mormon was recently added to the end of the series, so people purchasing season tickets this fall have packages that don’t include Mowtown, but do include Mormon. People (myself included) who purchased tickets last Spring when the season was announced don’t have Mormon tickets, but do have the “opportunity” to purchase them in mid-December, two months ahead of the general public. It seems that season plans that include Mormon are more expensive than the Motown plans. For example, my plan (sitting in the way-way-way-way backity back on the first Tuesday a show is in town) was $70. The same plan with Mormon in lieu of Motown is currently selling for $90. Because of the swithceroo with the season, I wonder how many buyers feel they got a raw deal if they bought the Mowtown package. Then again, many of those are presumably people who saw Mormon last time it was in town (and/or might find it’s humor objectionable) and would prefer to see Motown. For me, Motown is a perfect example of the benefit of buying shows in bulk. I’ve had a passing interest in seeing it ever since their well-sung Tony performance, but I wouldn’t go out of my way–or spent a considerable sum–to see it. Now that it’s essentially been “chosen” for me, I’m excited for some “fierce” screlting and elaborate vintage costumes. I can’t imagine Berry Gordy is an exciting (or even competent) librettist and anticipate what (hopefully) little narrative exists to be a mostly self-serving powerpoint presentation of career highlights. But with screlting and sequins. This is also a show that seems born to tour, and the production apparently features some changes and refinements that are the result of lessons learned following their cold-open on Broadway. The cast seems to be a mix of members from the Broadway cast, veterans of other Broadway shows, and a few who are “thrilled to be on their first tour”.